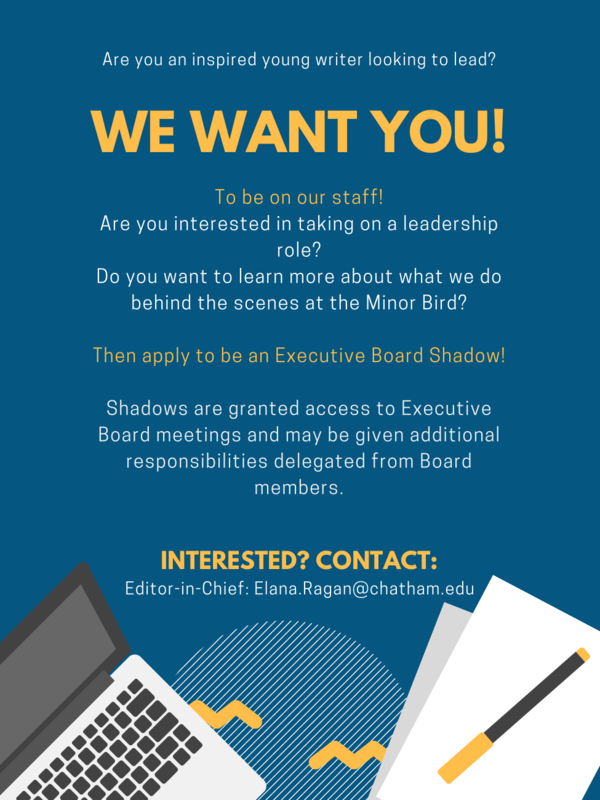 Apply to be an Executive Board Shadow! The Egg’s mission is to give voice to the experiences and struggles of those who are systematically silenced. 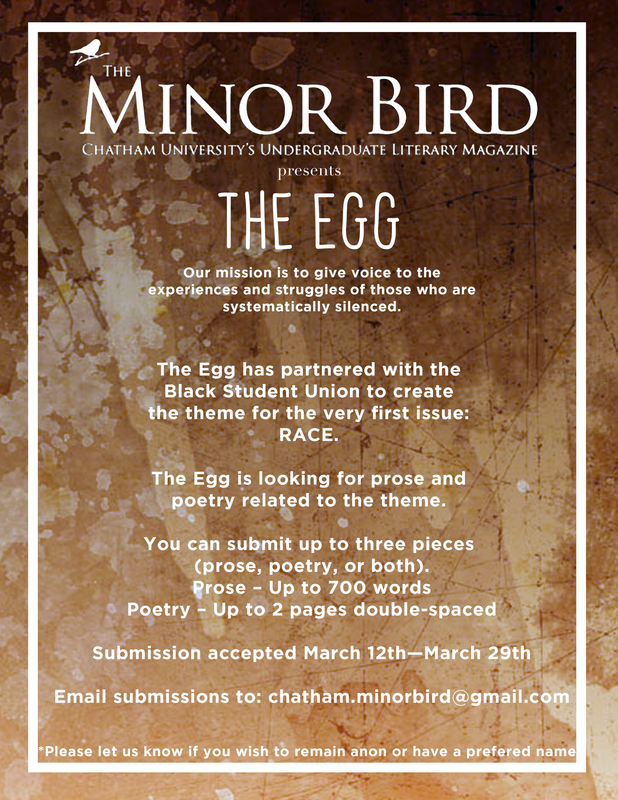 The Egg has partnered with Chatham’s Black Student Union to present the theme for the first issue: RACE. 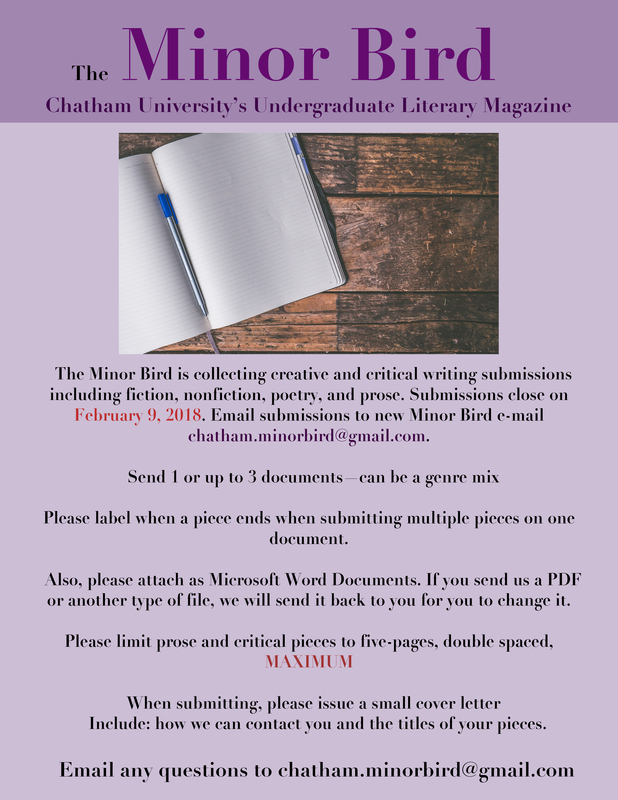 We thank all submitters for sharing their powerful work with us. 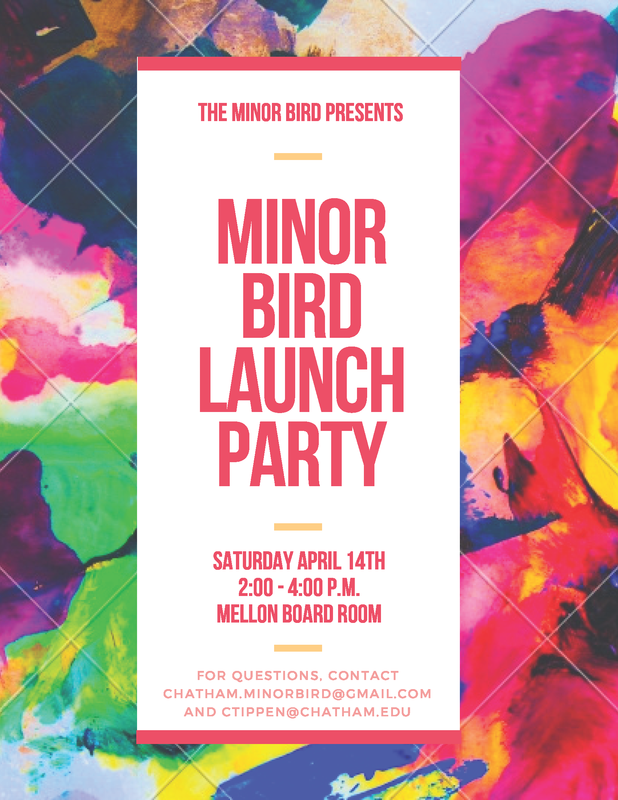 Announcing the launch of both this year’s print issue of The Minor Bird and the debut of the online journal, The Egg.